The Adelaide Football Club has entered into an agreement to acquire a professional eSports team in what is a first for Australian mainstream sport. Sydney-based Legacy eSports is one of eight top-tier League of Legends professional teams competing in the Oceanic Pro League (OPL). eSports is competitive video-gaming with tournaments played online and in stadiums where teams of professional players battle each other in a variety of games, including League of Legends. The Oceanic competition provides a direct path to the global contest, the League of Legends World Championship, which last year attracted more viewers than the NBA finals. eSports has an international audience of close to 250 million people, the majority of whom are aged 14-34 years, and in Australia the professional competition is complemented by hundreds of semi-professional and amateur outfits. The Crows move follows overseas sporting leagues, teams and individuals investing in eSports in the past 18 months. Those include the NBA, Philadelphia 76ers, Miami Heat, former NBA players Magic Johnston and Shaquille O'Neal, baseballers Alex Rodriguez and Jimmy Rollins, and NFL legend Joe Montana, along with soccer powerhouses Manchester City, Paris Saint-Germain, FC Schalke and AS Roma. The AFL also recently flagged its intent to engage with the $1.2 billion global eSports industry, including potentially staging tournaments at Etihad Stadium in Melbourne. Crows Chief Executive Andrew Fagan said involvement in the rapidly growing eSports industry would broaden the scope of Adelaide’s fan engagement, brand and commercial platform. “It is hugely popular with millennials and there are enhanced opportunities for current and new corporate partners to engage with younger, digital and social media savvy audiences,” Fagan said. “In many ways, eSports represents the intersection of technology, media and entertainment, which are all a key part of our strategic focus. “Across the globe there are sporting clubs, billionaire investors and athletes becoming involved in eSports with a view to growing their brand and reach, driving commercial outcomes and engaging with new fans. “League of Legends eSports was the most obvious choice for our Club to get involved in, as it is one of the most developed eSports leagues in the region. "We will bring our expertise in elite and professional sport to support the high performance development of the Legacy players who are driven to achieve success in their field. Fagan added the investment in eSports is another example of the Club’s commitment to both innovation and growth. “Our traditional revenue streams are obviously strong, as evidenced through our record attendances, membership, corporate hospitality, sponsorship and merchandise return,” he said. “While we will forever remain focused on our core objectives of winning football matches, we need to continue to diversify our activities and programs. “Last year we successfully established a team in the AFLW that represented the Club proudly and supported increased engagement with our female supporter base. "Our investment in Legacy is obviously very different and new in this country but will become a very important part of our Club." Riot Games Head of eSports Daniel Ringland said the agreement was a significant moment for all eSports fans in the Oceanic Pro League. “Not only are the Adelaide Crows the first ‘traditional’ sporting club to expand into the Oceanic Pro League but they are a club built on both excellence in performance and dedication to their fans, which is why Legacy is the perfect partner for them going forward,” Ringland said. 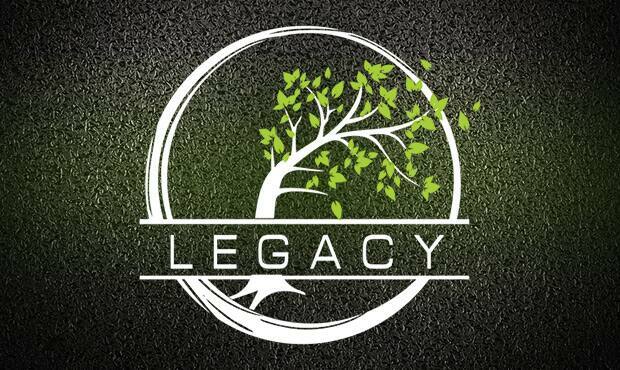 Legacy, which competes in the Oceanic Pro League (OPL), is a successful organisation with an elite team comprising professional players from Australia and New Zealand who play the incredibly popular game, League of Legends. It also boasts a number of semi-professional and amateur line-ups which are skilled in other well-known games. League of Legends, developed and published by Riot Games, has an estimated player-base of more than 100 million users. Legacy’s leading players are currently in South Korea on a training camp. The largest eSports events resemble traditional sporting competitions with contests broadcast live, fans can purchase tickets for the tournament venue and participate in match betting. Top players, also known as gamers, can earn in excess of $1m per year from playing League of Legends. League of Legends is a fantasy multi-player online battle game which puts teams of five people against each other. League of Legends, developed and published by Riot Games, is the most popular eSports game and generated revenue of $1.6 billion in 2015. Source- Intel news report. More than 100 million people play League of Legends each month across the world. Since its release in 2013, League of Legends has been recognised by the US State Department as a fully professional sport and foreign players can enter the country to attend competitive events under the same visas provided to mainstream athletes.